If only it were true. I mean, the part about getting it back. We have a consensus on the years of decline. 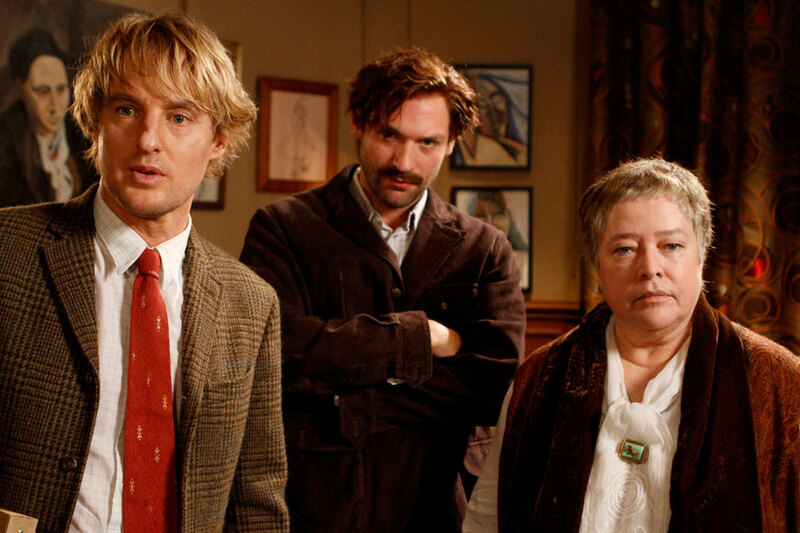 I spent the first moments of 2012 watching the latter part of the film, in which Owen Wilson speaks the Woody Allen lines. Which works pretty well. It brings a smile when this younger man speaks words that you know Allen himself would have spoken 40 years ago. There’s an echo there, and you do smile, because he really used to make you laugh. As Wilson has also done, more recently. And then there’s the central conceit of the movie, which is that… wait… SPOILER ALERT! 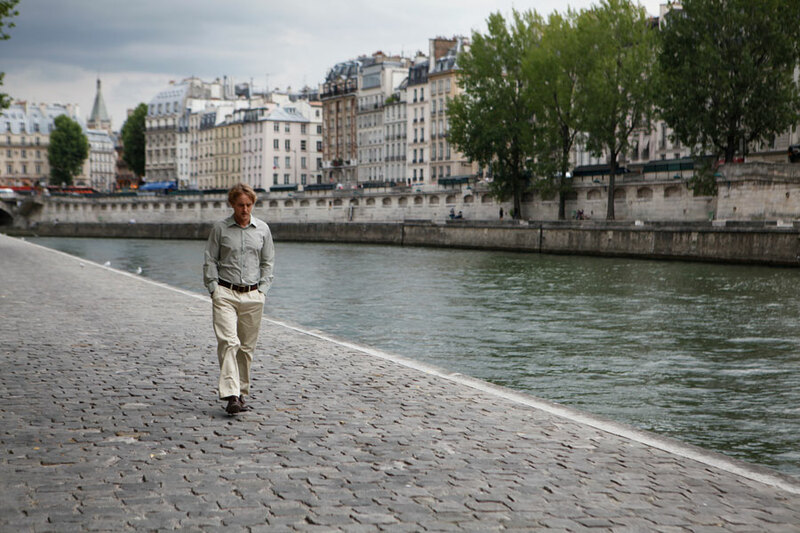 … which is that after midnight, Wilson’s character — the Woody Allen character (let’s go ahead and call him “Gil” to avoid this confusion) — finds himself transported to the very best time to be in Paris. And when was that? Well, for him it is the same time that it would be for me, the 1920s. The Lost Generation, when you couldn’t swing a bat on the Left Bank without maiming a genius in the art form of your choice. So he finds himself staggering across Montparnasse from party to party with Hemingway, the Fitzgeralds, Dali, Picasso, and the rest of the gang. Gil is, by his own estimation, a hack writer for Hollywood who hopes to save himself with a novel he’s struggling with. Hemingway tells him to let Gertrude Stein read it. Ms. Stein, who in real life looked like this — by which I mean to say, looked like somebody no insecure writer would hand his heart to that way — is in the film a sort of amiable den mother who would LOVE to read his book and tell him encouraging things. Which she may have done for Hemingway, but for this nebbish? I don’t know. Anyway, this premise is loaded with possibilities, and you want to see them explored. But they are not. Allen walks up to this great idea, and then shrugs, backs away and gives us a “so what?’ ending. And it makes me sad. I mean, this is the guy who made “Manhattan.” It may or may not have been a masterpiece, but it was funny and poignant. And how about that ending: Mariel Hemingway says, “You have to have a little faith in people,” and your heart gets sucked into such depths in a whirlpool formed by the currents of innocence, cynicism and desire. In that moment, you forgive Allen, if only momentarily, for being such a perv and corrupting young girls. In that moment, you recognize the complexity of being human. And with this thing, what has happened? Nothing. Gil has blown off an engagement that every viewer has wanted to see him walk away from since the first 30 seconds of the film. No conflict there. Every moment spent with the grotesquely drawn caricatures of his “present” life is tedious, and obviously pointless. There is no depth to anyone in this film, including the protagonist. Here I am thinking “this is really cool; we’re going to meet Hemingway and Fitzgerald and Picasso,” and they are played for not very good laughs, especially Hemingway. And none of the promises are realized. None of them. So no, he doesn’t have his thing back. But I kept hoping he would; kept hoping it would be as good as it tried to be. But it wasn’t. This entry was posted in Art, Books, History, Movies, Popular culture, Words on January 1, 2012 by Brad Warthen. I found the movie maybe just a tad more fulfilling than you did (seeing it in a theatre always helps). The one overriding message by the end is that nostalgia for any period of time, especially one that one did not live through, is misplaced. There are no “golden eras,” or perhaps they are all golden eras. Hence Gil’s surprise that his new lady-friend from the 20’s thinks her time is terrible and would much rather live in Belle Epoque Paris. But, no, it’s not a terribly profound film. I did chuckle at Adrian Brody’s over-the-top Dali. And you’re right about Gil’s fiancee. I kept waiting for the moment where we would see the charm or appeal that made him want to marry her in the first place, but it never came. I can’t imagine what possessed Rachel McAdams to agree to play such a completely un-nuanced shrewish portrait, and as much as I love Woody Allen’s work (though I haven’t seen most of his movies since 1995 or so), writing a role like that could only be the work of a guy who (still!) has serious anger issues with women. Annie Hall is his best film, not Manhattan. Other great ones include Love and Death and the Mia Farrow ones, not to forget the early “funny” ones (many with first wife Louise Lasser). Of the post-Mia ones, Match Point was quite good. “in which Owen Wilson speaks the Woody Allen lines”. I thought the line was going to be, “You got anything younger?”.